Romantic dinner for two? Or alone? This recipe is so versatile and you can use it for entertaining as well! Eat well my friends. Saute shrimp with garlic, spinach and lemon. Add to cooked linguine and mix with red chili flakes. Add Parmesan if desired! This is a great recipe when you want to serve a protein packed meal! Serve with brown rice and some veggies for a fun dinner or on its own with a side of steamed spinach! 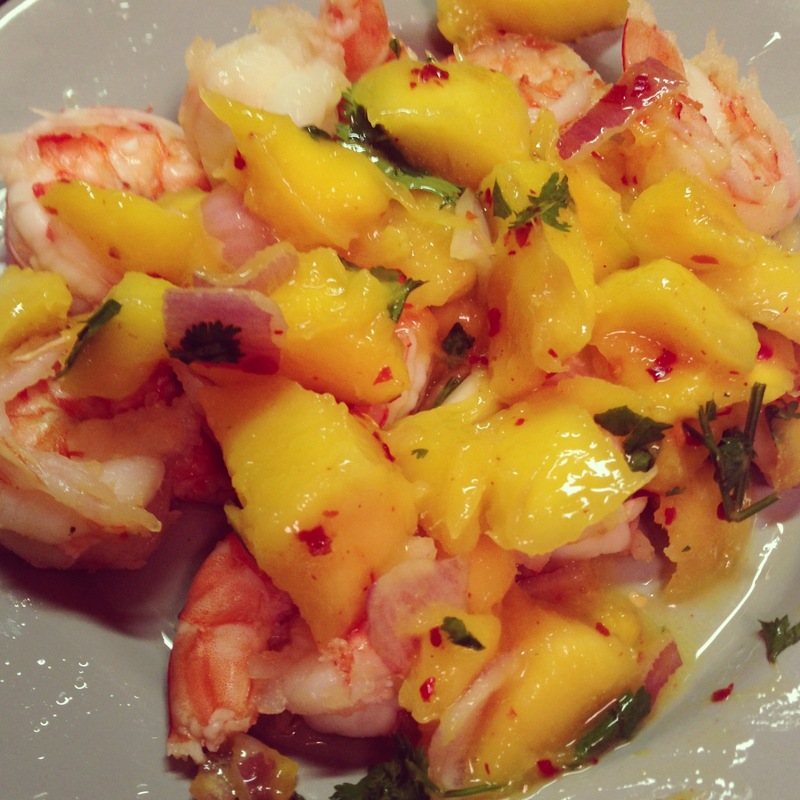 Lightly coat the shrimp with olive oil. Mix red quinoa with garlic. Dip each shrimp into the red quinoa mixture and sear. Serve on a bed of raw greens, with brown rice, or on its own as an appetizer! I love shrimp! It is a great source of protein and not only can it be cheap by the pound, there is so much you can do with this awesome protein! Toss shrimp, spinach, tomatoes and kernels together. In another bowl, mash avocado with salt, pepper, lime and lemon juice. Toss salad with the guacamole.